UFO SIGHTINGS DAILY: 6 Inch Alien Seen On Mars In NASA Photo, Absolute Proof Life Exists On Mars, June 2016, Video, UFO Sighting News. 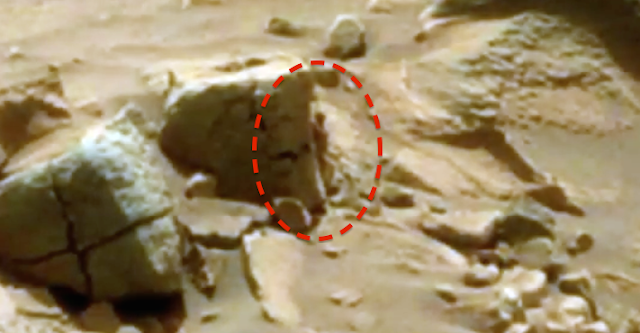 6 Inch Alien Seen On Mars In NASA Photo, Absolute Proof Life Exists On Mars, June 2016, Video, UFO Sighting News. The above photo is the original on the NASA site, but NASA calls it "FALSE COLOR" and doesn't state why they put photos into a false color. 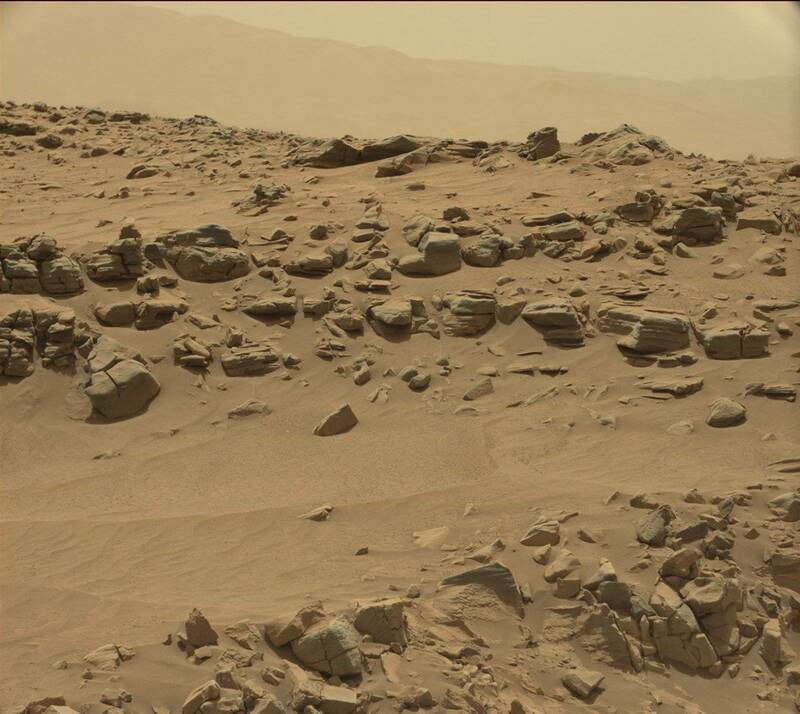 The photo below is auto focused and what Mars really looks like in colors. 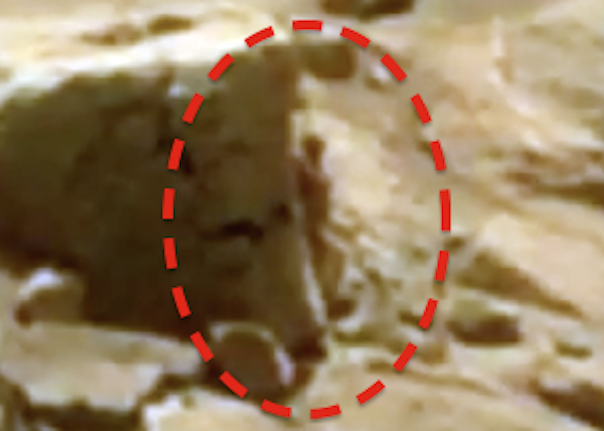 This human-like figure is peering around the corner of a rock wall and I can make out its head, chest, shoulders, arm, leg, knee, and foot from this one close up photo. Paranormal Crucible says its about 6 inches...I agree. This is one of the species that once lived on Mars and is still living there now, but in lower numbers. The mysteries of Mars just keep revealing themselves one by one. Interesting anomolie found by the rover, which looks like a little Martian. I have colorized the image and added eyes to the head so its easier to see, but everything is there in the original image, whatever it is it looks humanoid, reminds me of the Atacama Alien, about the same size too, this one is around 6 inches.